In the midst of the culture-historical setting of Eisenach, home to the Wartburg, our IHK-certified investigators are frequently being approached both by private persons and by companies with the request to solve cases of great variety. The research and surveillance work of our detective agency in Eisenach is always reliable and executed discretely. Thanks to our know-how we can gather valid evidence for you, too: +49 361 2243 0020. Not convinced yet? Have a look at our references! Counting 41,884 inhabitants (2015), Eisenach is one of the central points of Thuringia and due to its history it has been listed as a UNESCO World Heritage Site. The Wartburg, which became known thanks to Martin Luther's translation of the New Testament and the famous ink stain, is the landmark and the biggest tourist attraction in the city. Fortresses, sacred buildings and memorials, as well as museums and industrial heritage, contribute to the culture-historical scenery in which our private investigators in Eisenach execute their investigations: private cases such as infidelity, disagreements about custody and child support and/or alimony payments, and tracing missing persons are an essential part of our portfolio and we treat it with as much care and importance as forensics, identifying an offender after a burglary of a building, damage of property, and anonymous threatening letters. The number of trickery cases has also increased noticeably since 2013 and it is especially executed via phone. The "grandparent scam", as often discussed in the media, is one of the methods used, others are pretending to ask for help or tricking someone into believing they won something. Despite the warnings given by the media and the police, the offenders still succeed at inventing new stories in order to steal their victim's savings, often organising their crime in groups. In 2015, offences against property or fraudulent falsifications have caused a damage worth more than 46 million Euro in Thuringia. The nationwide train connections and the vicinity of the Bundesautobahn A4 support the offenders – who often live abroad – to flee from the crime scene. Transnational investigations are still a significant bureaucratic obstacle for regulatory institutions and government agencies. This is where our qualified private detectives in Eisenach come in: We have excellent contacts with the authorities, detective agencies and former police officers abroad and can act quickly and effectively without any bureaucratic obstacles. Our investigators in Eisenach will gladly advise you on your options. You can make use of our contact form to get in touch. The Wartburg outshines its surroundings and it is the main reason for the international fame of the picturesque city of Eisenach. It is also an important contributor to the city's economy, next to its automobile industry. Eisenach's past does show in the theologically informed school system but for a few years now, the Wartburg city has also been focussing on progress and development which resulted for example in the Technologie- und Berufsbildungszentrum. 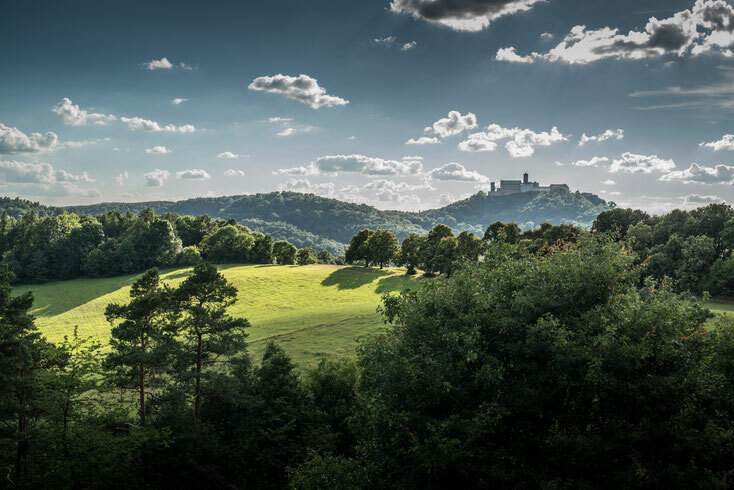 In addition to metalworking and automotive manufacturing, which are something like a fixed feature of the region, it is especially the suppliers and the logistics industry which form the economic pillars of Eisenach. In the first quarter of 2016, this led to a revenue of 632 million Euro – the peak value in Thuringia! 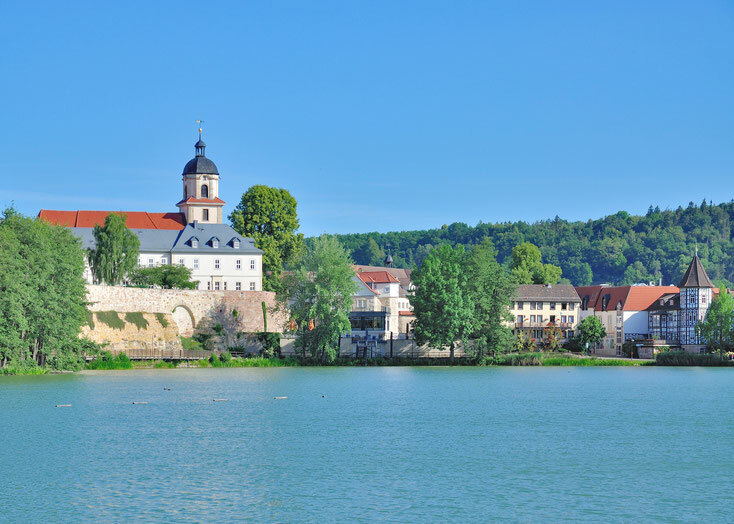 The Wartburgkreis follows Eisenach with 588 million Euro in the same time period. But like anywhere else in Germany, local companies (for example Bosch and Opel in Eisenach, BMW in the Wartburgkreis) are faced with corporate crime: The competition applies illicit means such as bribery, unfair competition and industrial espionage, and employees damage their employer through false claims for expenses, fraudulent sick leave, warehouse theft and cargo crime, theft of company data, or sabotage. Our qualified corporate detectives in Eisenach are your specialist in these cases, and many more, bringing along a wide range of investigation methods which can be adapted and chosen according to your specific case. We research background circumstances, monitor suspicious target persons, and provide you with informative and legal evidence: +49 361 2243 0020. Our detectives also gladly investigate on your behalf in the surrounding district Wartburgkreis (here: Bad Salzungen, district capital city). *Please note: All operations of Kurtz Investigations Erfurt are executed and billed from Arnstädter Straße in Erfurt. The other operating cities and regions advertised on this domain are neither local branches nor permanent establishments of the Kurtz Detective Agency, if not explicitly stated differently. We can offer you affordable traveling expense flat-rates nationwide. The same applies for traveling to a wide range of areas abroad. When operating in the countryside, the cost evaluation starts from the next greater city. You can find further information on our fees here, and on our operating areas here. *Hinweis: Alle Einsätze der Kurtz Detektei Erfurt und Thüringen werden von der Arnstädter Straße 50 in Erfurt aus durchgeführt. Bei anderen auf dieser Domain beworbenen Einsatzorten oder -regionen handelt es sich weder um örtliche Niederlassungen noch um Betriebsstätten der Kurtz Detektei Erfurt und Thüringen, sofern nicht explizit anders ausgewiesen. Wir können Ihnen bundesweit günstige Anfahrtspauschalen bieten, Gleiches gilt für zahlreiche Regionen im Ausland. In ländlichen Gebieten erfolgt die Berechnung in der Regel von der nächstgrößeren Stadt. Weitere Informationen zu den Honoraren finden Sie hier und zu den Einsatzorten hier.